Non latex anti allergic temple tips. Available in different colours. 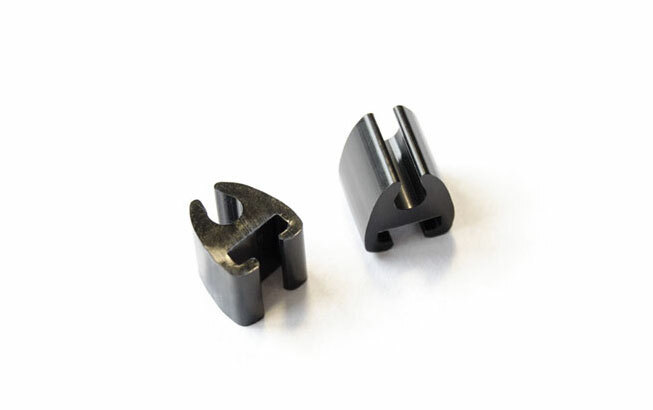 Click here to see how to change the temple tips. 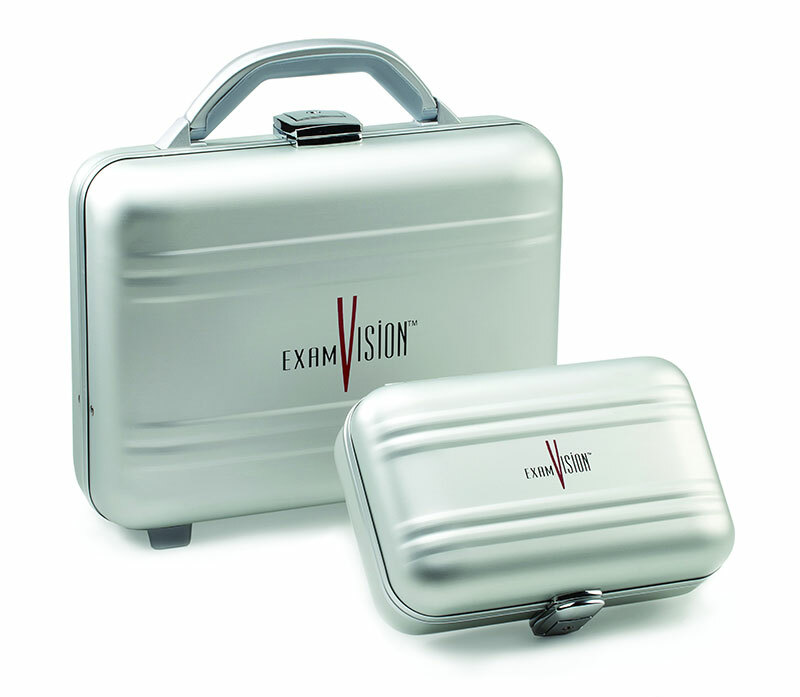 Elegant, durable protection for your loupe and accessories at work or in transit. 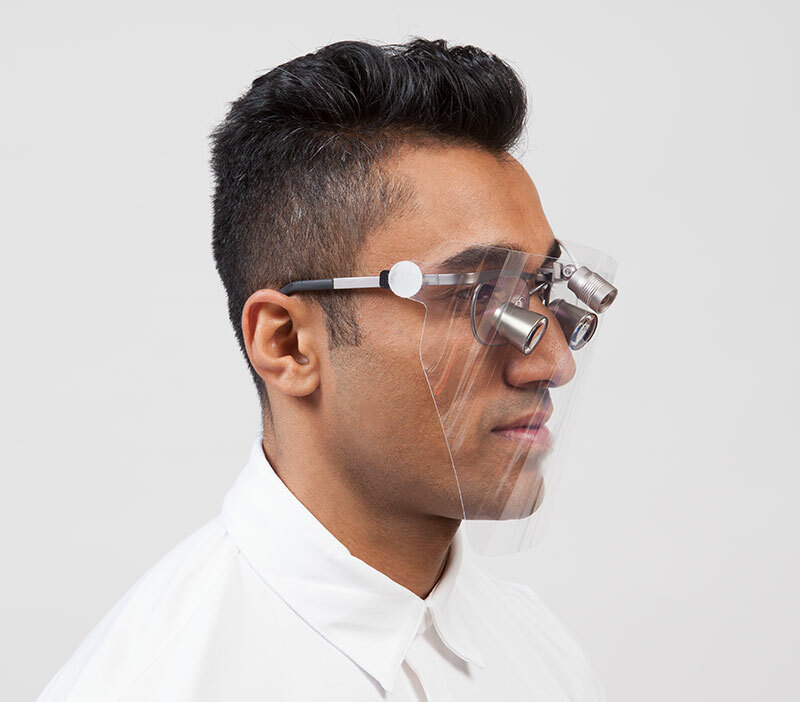 Two versions: loupe only and loupe & light. 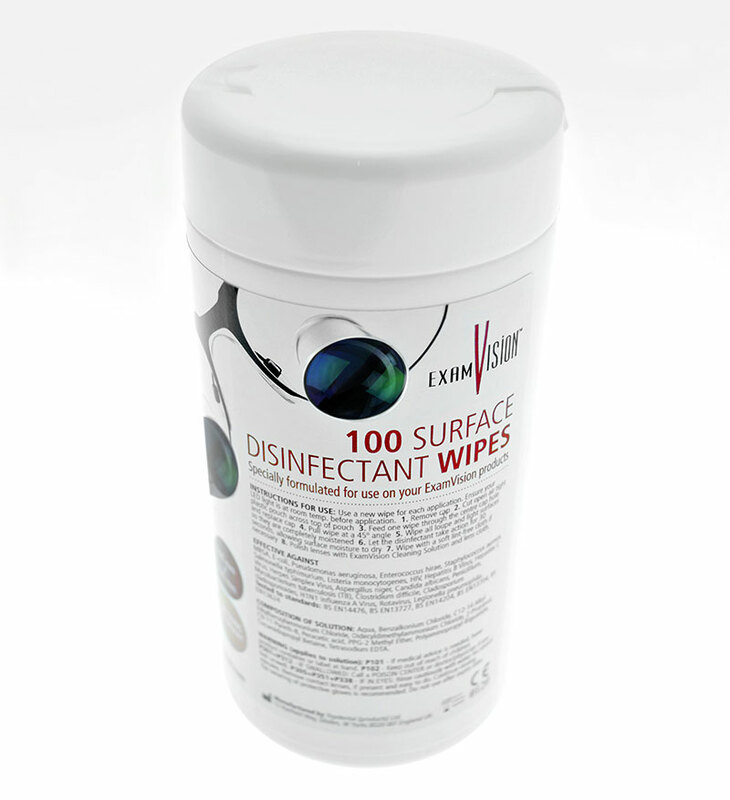 Protects the loupes and your face from splashes and dirt. 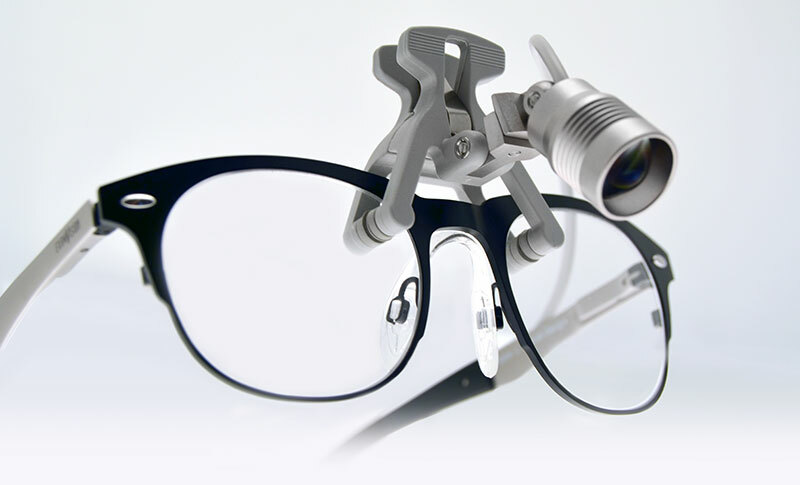 (Easily attached to ExamVision loupes using a velcro adapter). 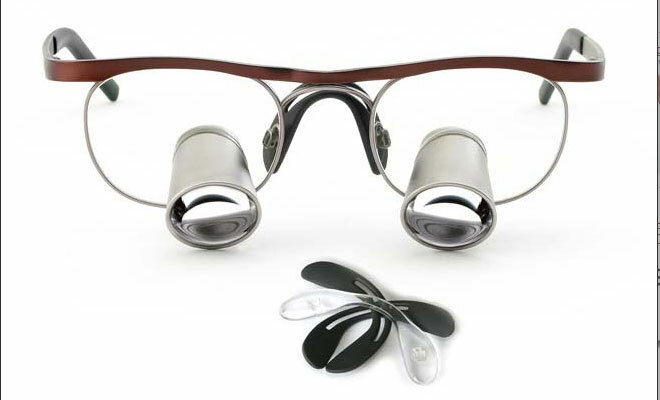 Delicate yet durable strap for extra security when wearing the loupes. Non-latex-anti-allergic temple tips. Available in different colours. 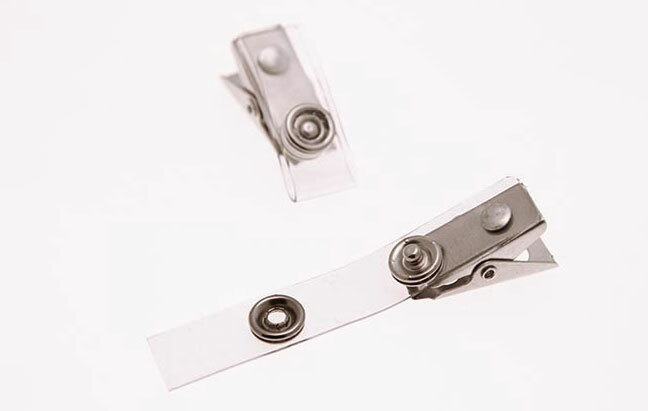 Click here to see how to change the temple tips. 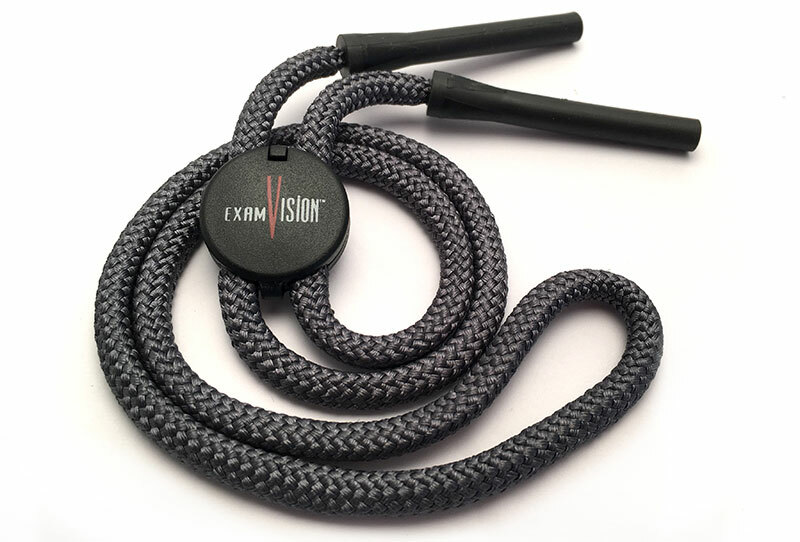 Delicate yet durable cord for extra security when wearing the loupes. 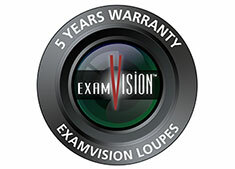 *Included in price when purchasing ExamVision loupes. 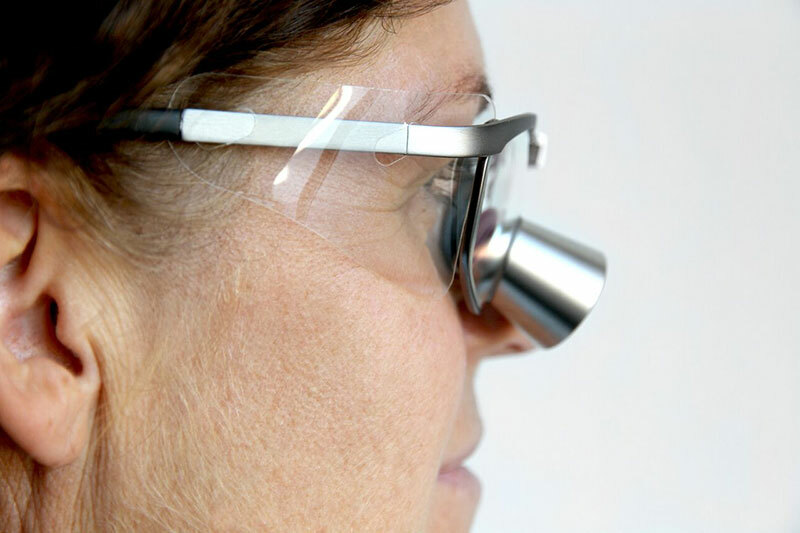 The Eye Protect System™ is a revolutionary protection against harmful UV and Blue-Violet light *, developed by lens manufacturer Essilor, which ExamVision can incorporate in the loupe oculars. 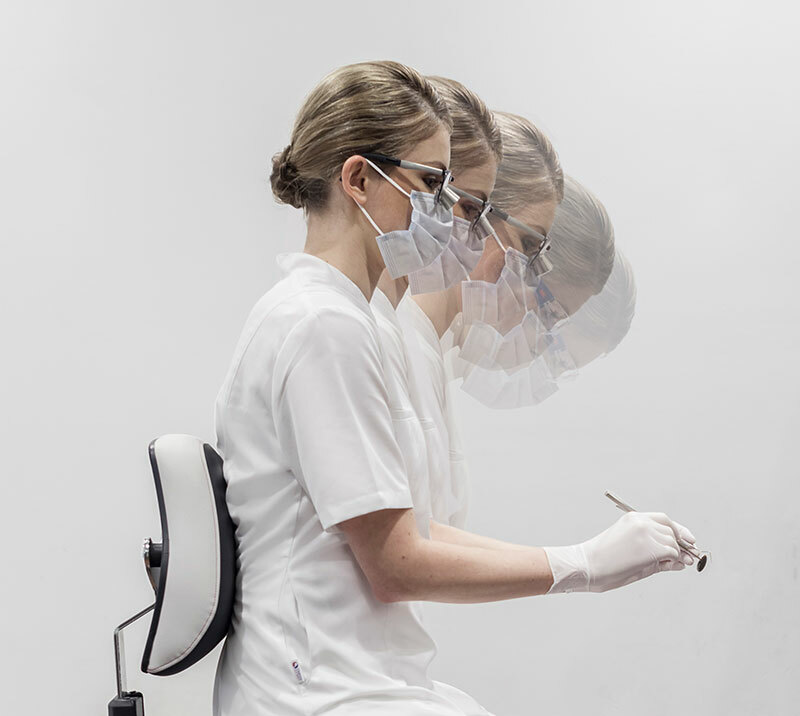 Essilor has found that Eye Protect System™ lenses are up to three times more protective against harmful Blue-Violet light than standard prescription lenses, based on in vitro photoprotection tests on retinal cells. 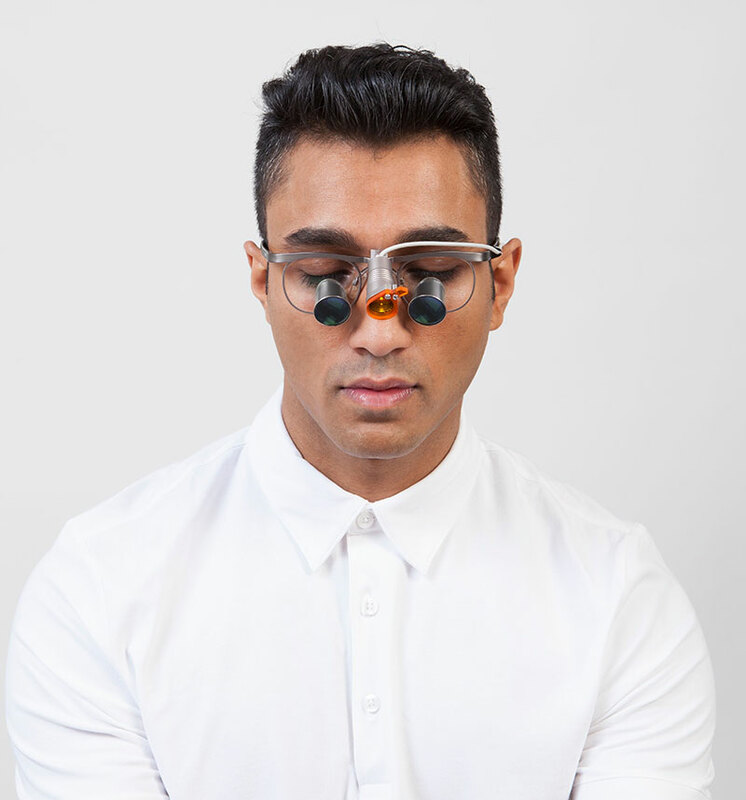 Eye Protect System™ lenses with UV coating Crizal Forte® decreases light-induced retinal cell death by 25%. 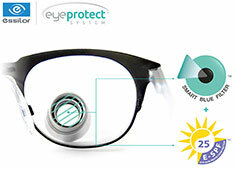 Learn more about Eye Protect System™here. 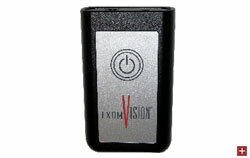 The Focus™ Xtend control unit is operated by pressing the front panel. 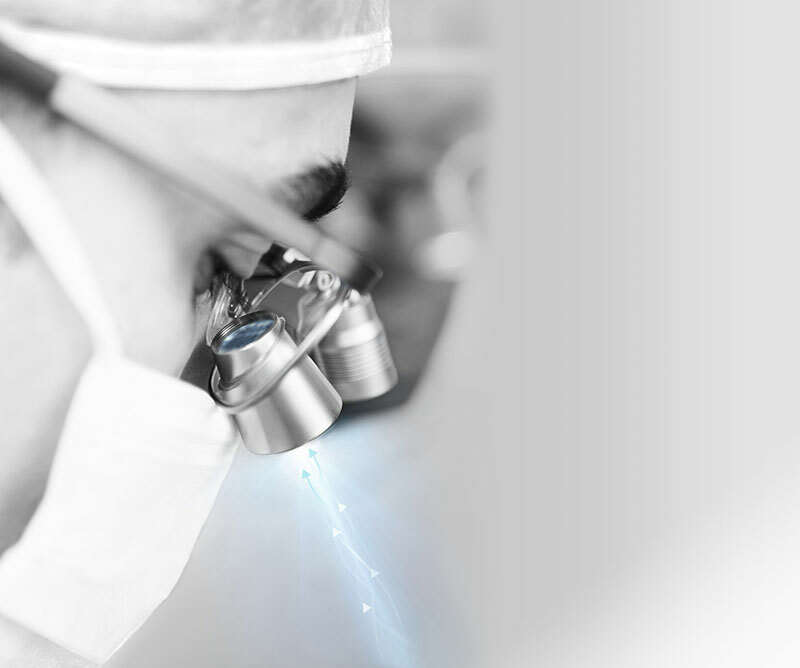 This innovative and useful feature will help you to maintain a sterile environment. 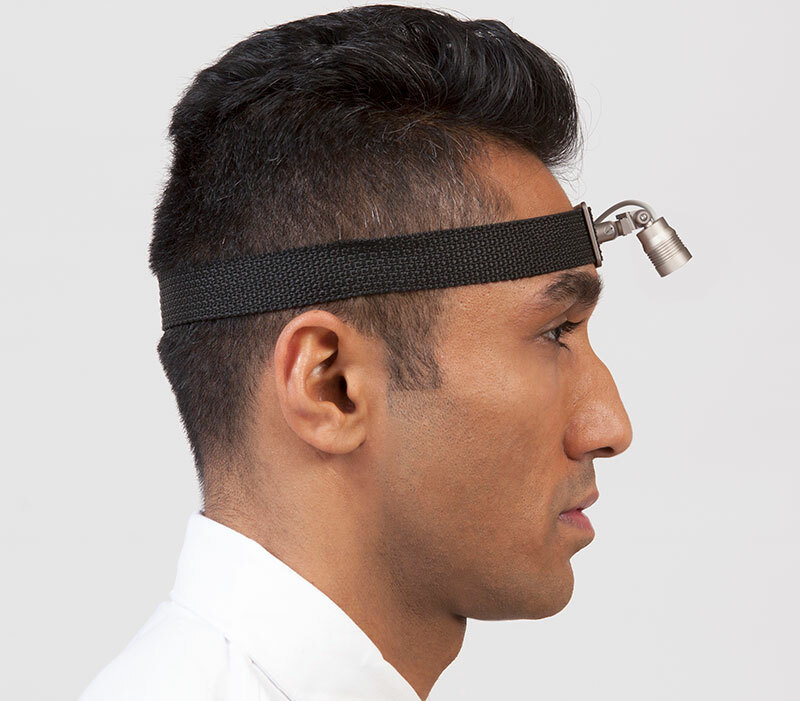 A short press will activate the unit, and further clicks will cycle the unit through low, medium and high settings (hands free). The working time of your battery varies with light intensity. 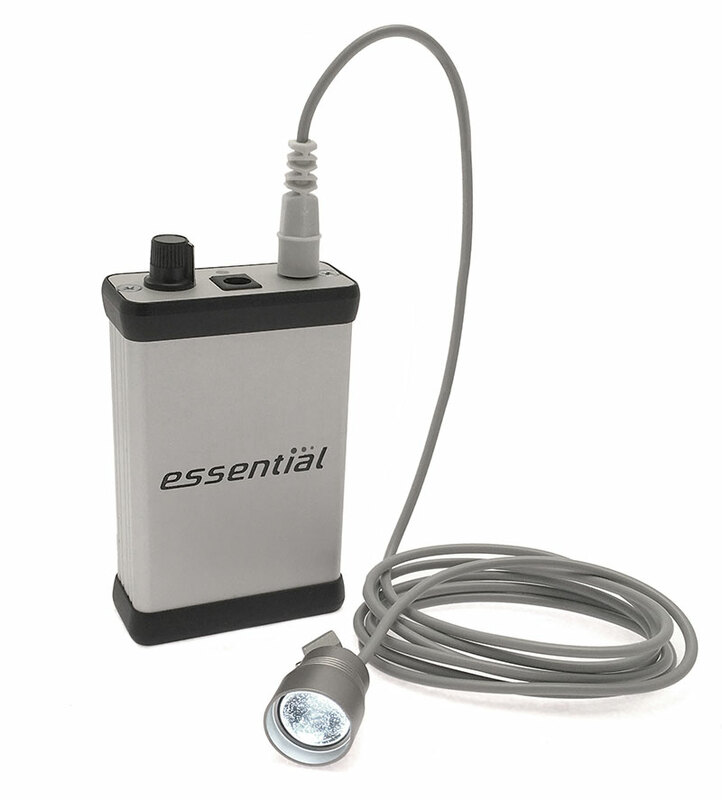 The lowest setting gives up to 24 hours continuous use, and the highest approximately 6 hours. 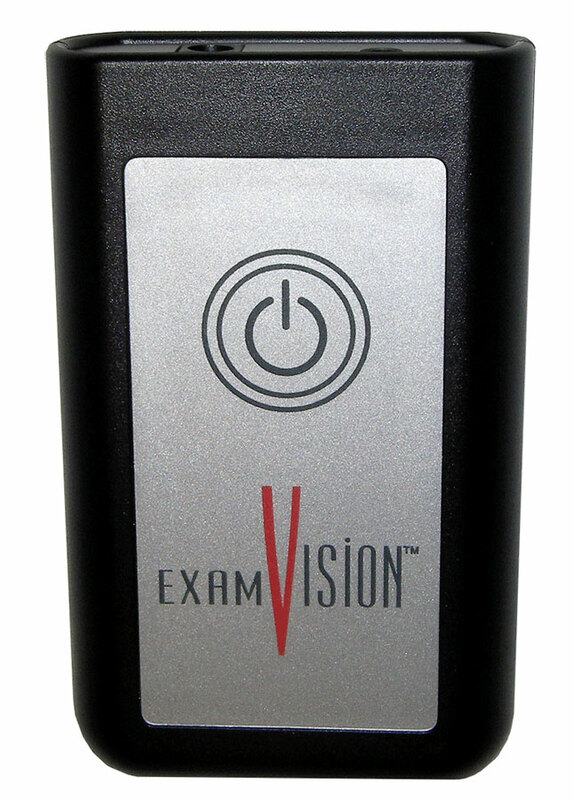 The Lithium-ion battery in the control unit can be replaced by ExamVision when it has reached the end of its natural life. 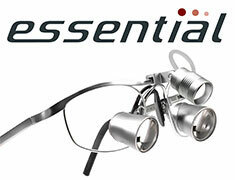 Compatible with all Focus™ LED lights. Clips the light cable to the loupe arm. 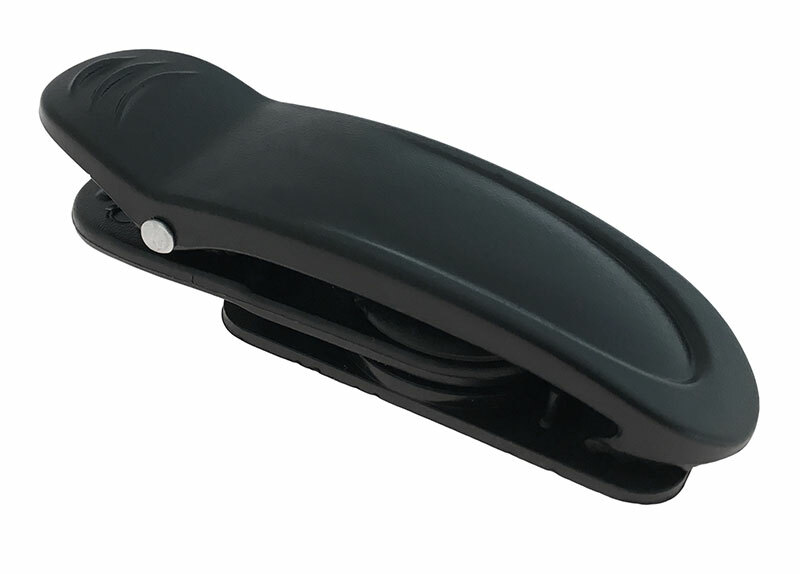 Slides smoothly on and off, and maintains the light in a stable manne. Can be locked into position. 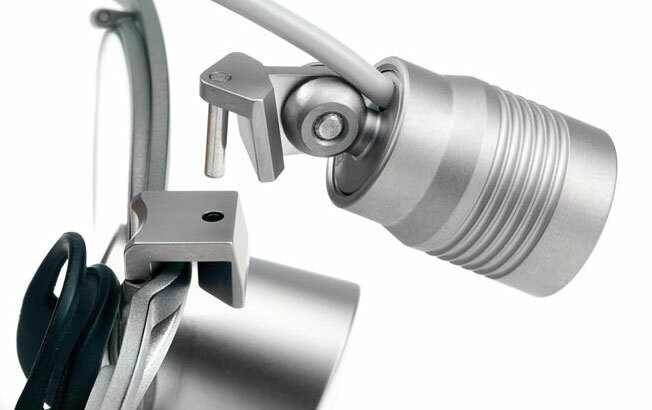 Clips the light cable to the loupe arm – for the Basic LED and Focus™ XP. *Included in price when purchasing lights.